Rent a classic VW Camper Van from our South Los Angeles area location. Our Volkswagen fleet is stocked with 1970's, 80's, 90's, and 2000 era campers that are loaded with handy camping equipment and all da'kine goodies to get you on the road Brah! Each and every camper has it's own unique personality and most have re-vamped interiors apart from a few stock interiors that remain in excellent condition. Reconnect with the great outdoors via our VW van rental service. All you need to do is pack your clothes, shop for some grub and get out there. 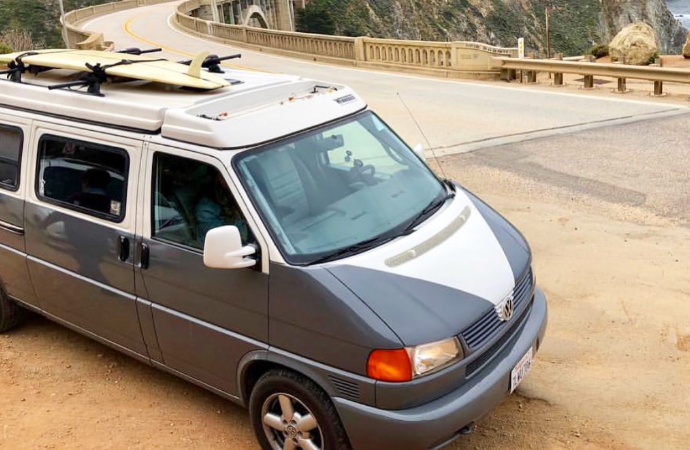 We, your genial hosts at Vintage Surfari Wagons, are experts at facilitating California Epic Road Trips in our nostalgic yet robust VW Camper Buses. We have been for over 14 years now - pioneers of vintage VW bus rental services. Our intimate knowledge of this world class environment, coupled with the deep experience and intuitive understanding of what keeps these unique dream machines on the road is unsurpassed by any competitor in our region. We're dedicated to helping you experience the most unique vacation of your lifetime with our vintage VW bus rental service. Our goal is to give you a big taste what makes our corner of the world so unique. Wander audaciously friend for you are in good hands. Mahalo, and see you on the road SOON!